It is only 5 days till we fly out to Calgary and we still dont know if Del will make it. We visited him in hospital today and while he seems much better than even 2 days ago (when I’ve seen him last) he still cant really bend his injures elbow. I guess by Tuesday it should be clear what its going to be. One thing is for sure: he wont be able lead hard grades ice, which is a big bummer, especially for PG, who has been training so hard those last few months in preparation for some serious adventures and now he doesn’t have a partner to join him there. Lar and I on the other hand are pretty much set. 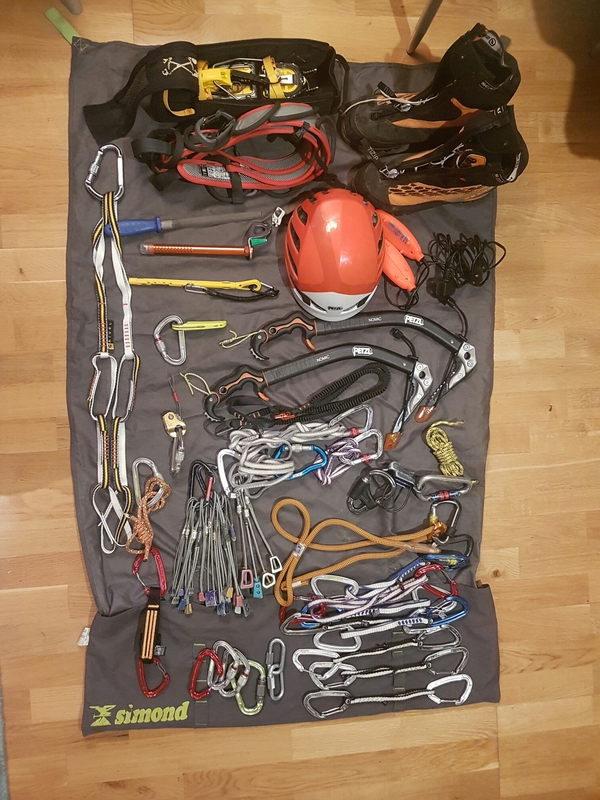 We have discussed gear and I started packing today. Besides one more rope we gotta get we are set. The Norway trip showed that PG’s spare icelines are really EOL, and my 50m half ropes are too short for Canada.